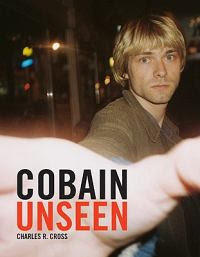 Thank You Brianne at Hachette Book Group for allowing me to host this giveaway.I will be giving away 5 copies of Cobain Unseen by Charles R. Cross. An unparalleled look inside the brilliant mind of one of America's most revered rock legends, Cobain Unseen collects previously unseen artifacts and photographs from the estate's archives to form a fascinating portrait of the creativity, madness, and genius of Kurt Cobain. Personal items and photographs take readers deeper inside Cobain's life than they've ever been before, and interactive features, such as Kurt's handwritten sticker-sheet of Nirvana name tags, facsimiles of unseen journal pages, and gatefolds of his graffiti-embellished guitars make this an essential keepsake. An audio CD showcasing spoken-word material by Cobain, some of it never before released, will be included. Accompanying the previously unpublished images and memorabilia is a compelling biographical narrative by New York Times -bestselling author Charles R. Cross. 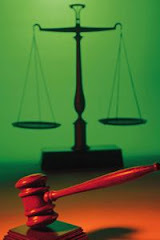 1-This giveaway is open to residents of the US and Canada only,and closes on August 16th 2009. I will pick FIVE lucky winners and will do a post announcing the winners here and will also e mail the winners individually. I just have to share this with you.I had a massive crush on Kurt Cobain for years.I dreamt of finding him.I just wanted to get to Seattle.He would fall madly in love with me as I was with him.I was going to show what real love was all about.He would then walk away from that horrible Courtney Love and be mine forever.Then he died...(I still want to see Seattle especially after Sleepless in Seattle-(which I hoped to be after meeting Kurt)and despite all the true crime books written by Ann Rule I am still willing to take my chances. )Anyway after an acceptable period of mourning I then developed a crush on Edward Norton (another seemingly tortured soul) and then shortly afterwards I hear Courtney Love is seeing him and my first thought was "Does this woman want to destroy every man I love?" I truly truly adored Kurt Cobain.Life is so bearable when you can retreat into dreamland and I only wish with all my heart that celebrities would realise the impact they have on some of our lives before they take their own lives so lightly and irresponsibly.And Frances Bean looks exactly like her dad and I wonder about her and whether she's ok.
BTW Although Cobain's death was officially ruled a suicide, certain aspects about his death have led to speculation that he was murdered: - He had entirely too much heroin in his system at the time of his death to have been able to operate a shotgun. He would have been incapacitated within seconds of injecting it. - The so-called "suicide note" may have been a letter to his fans expressing his desire to quit both Nirvana and the music business altogether. - One of Cobain's credit cards was being used a few days before AND AFTER his death. I've always wondered about his death-such a waste. I'm a follower and a subscriber of your blog. I think the bands music really left an impression on a lot of people, I would love to read this book! Thanks for hosting the giveaway, Yvette. I am a new follower, entry #1! I am a new follower, entry #2! I remember being so stunned by the announcement of his death. Much more so than MJs. My best friend love Nirvana. I would love to be able to read this book and then pass it on to him. I was in Seattle when he died & remember it so vividly. Such an enormous tragedy. My husband is a musician who was playing out in Seattle during the '90's & also remembers it all in a visceral way. I'd love to win this! I'm also a follower. I am not eligeble to enter..
Part of that incident unfolded not too far from where I live. I never did accept the explanations, so I'm anxious to read this book and find out what the author turned up. His death is very interesting. I've seen this book around and I really really want to read it. Kurt Cobain fascinates me. I hope his daughther is okay too. Oh wow, I'd love to win this book. Kurt was my guy in high school. Found out on the school bus that he died...awful. What the hey, enter me. :) (Look for lots of comments from me today, I am going to go through and look at all of your reviews you have done. I like true crime books. Kurt Cobain was a very talented musician and is very much missed. I listed this giveaway under my current giveaways. PS I want to visit Seattle too -- great music, coffee, cool bookstores sounds like my kind of city! I would very much enjoy reading this book. Cobain had so much talent. Nirvana is a favorite band of mine. I'd like to know more about Curt Cobain. Wow - I would sure love to win! I grew my hair out and bleached it blonde and wore Nirvana shirts every day for about 6 months after he died. I was a big fan. This book sounds very interesting. Thanks for the chance. I read a synopsis on this book and thought it sounded really interesting. I'd heard before that Cobain's death might not have been suicide. I wonder if we'll ever know for sure. plus 3 for being a current subscriber. This would be an interesting book and seems to go into better detail than some of the other sensationalization books. +1 blogged about the contest in my sidebar. why can't I copy and paste??? This looks like a really interesting book, that I'd like to read. Please enter me in the giveaway. Enter me please. My email is in my blogger profile. My daughter would so love this -- her era of music! Oh yes, please drop my name in the magic hat!!! I hop you had a great night and have a wonderful tomorrow! my best friend loves him! What a nice memorial to Kurt!! Huge Nirvana fan! Thanks for the opportunity. True Crime is such an interesting genre, and I love Kurt Cobain. Do not enter me-I just wanted to let you know that 10 long days later I posted my Heartfelt Award with my nominees. Thank you again for the award. I would like to read this book. I am a Kurt Cobain fan. His death was so tragic. My email is in my profile. I'd like to read this, please count me in, thanks. Nirvana was one of my favorite all-time groups and like heatherzilla said, he death was definitely tragic. But their music still lives on. Enter me please. I'd love to read this. I have wanted this book for SO LONG! I can't find it anywhere! I'm also a new Blogger/Google follower. I missed your last giveaway...oops. +1 I have posted about this giveaway on my blog. Great Post!! This is my first time hearing about Cobain Unseen and i am looking forward to adding it to our collection. I am one of the people that has a hard time believing that Kurt commited suicide. I think that the truth"was"out there,but in the end its' about the music too!! Sounds interesting - thanks for the giveaway! I'm a huge Courtney Love & Kurt Cobain buff. I'd love to be a winner of the book, been reading about them for years. I remain fascinated by this descent into addiction and despair. I really would like to read this book. I have always been a fan of Kurt Cobain's music and would love to read more about him! One of my all time favorite bands! Thanks for the giveaway. I am still in love with Edward Norton, Yvette, I would love to read this book. What is it that Courtney Cox has? I was kind of young when this happened, so this would be a great read for me since it's such a big part of entertainment history. What a tragedy indeed! So young, talented, and adorable! Such a loss to the world! I'd love to read the book. I just subscribed to your blog. (I'm not sure if that's +1 or +2. I'd like to read this book. Please count me in. Wow! Has it been this long? I remember when he died, I was in the Army stationed at Ft. Ord, CA. looking forward to seeing this book. This book sounds great- I love Nirvana! This man was so capptivating! I enjoy reading true crime books. Love Nirvana. Great music! I would love to read this book. I have read books on other famous musicians who have killed themselves. I love True Crime novels . Great music that reminds me my teenage years. I loved Nirvana. My son would absolutely love to read this. He is a big fan. I am curious, too. Thanks! Thanks for the contest. I would love to read the book. He was a graeat talent. garrettsambo (at) aol (dot) com. big fan of Nirvana's music and play their music to this day.I would love to read this book. I was only seventeen when he died and Nirvana made such a huge impact on my high school years.